The owners of this property are a creative couple who knew what they wanted, and were a pleasure to work with. 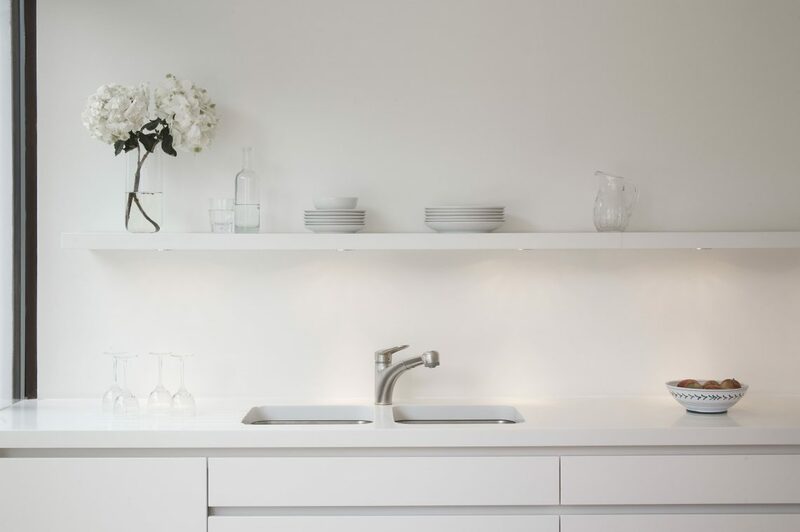 Previously the main body of their house had been opened up successfully to create generous open plan spaces, and this was what they found attractive at the point of purchase. 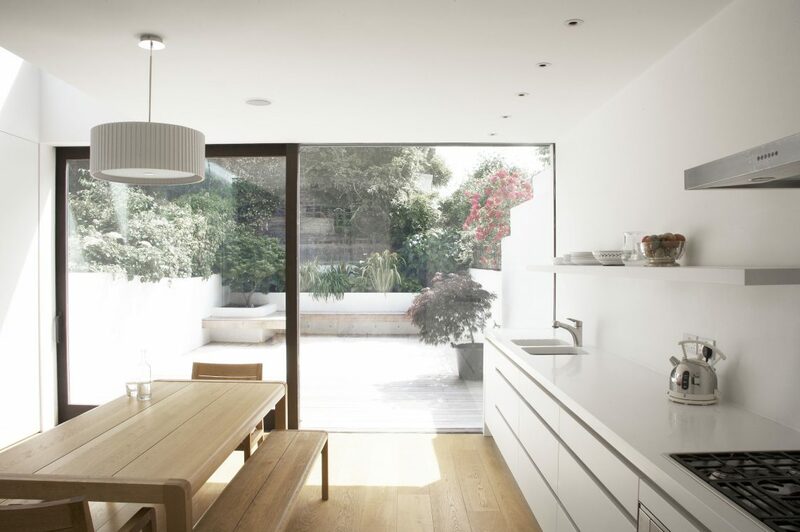 However the kitchen remained small and pokey and related poorly to the rear garden. Our brief was to open up the kitchen to provide a single open kitchen-diner, whilst accommodating a Guest WC and Utility Area. Upstairs we removed a redundant chimneybreast and re-planned a compact but comfortable shower room, and improvements to the existing rear bedroom. 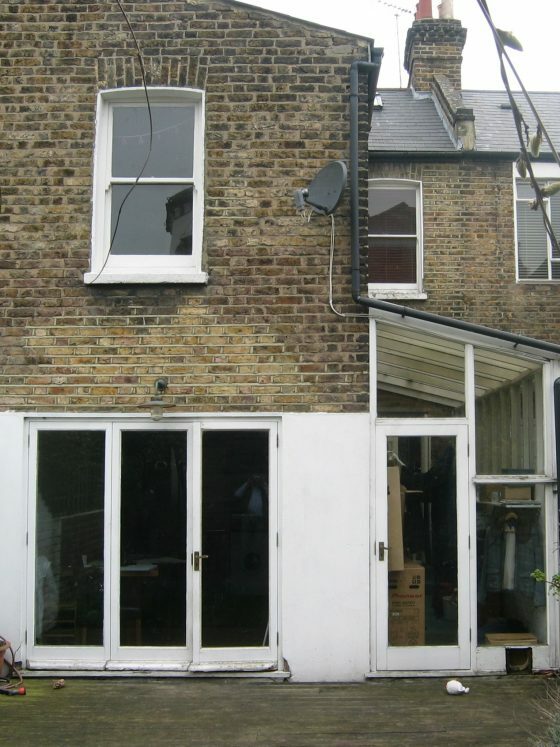 The rear addition was retained on props whilst the existing kitchen was demolished and a new side extension formed. 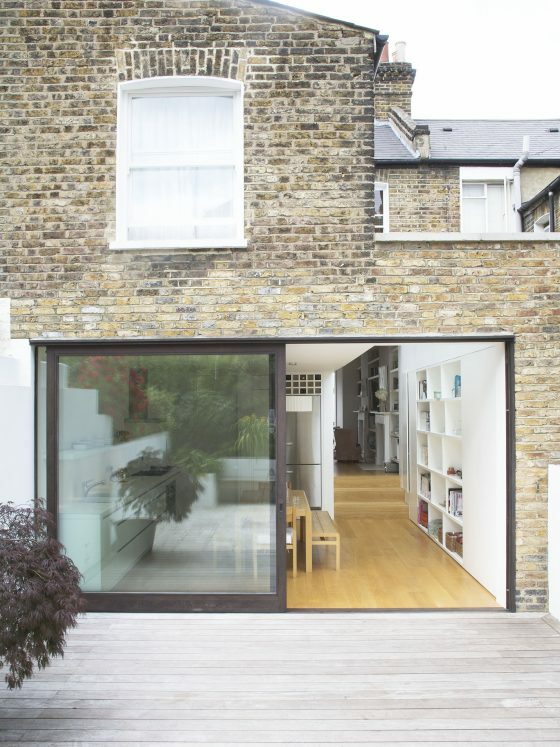 The Structural Engineer rose to the challenge when our client insisted that the entire rear wall at ground floor level was removed, to provide the widest possible opening for the glazed door system. The sliding doors were made in stained hardwood in London and fitted onto state of the art mechanisms ordered from Germany.